The Lion King Family arbre. The Lion King Family arbre. HD Wallpaper and background images in the Le Roi Lion club tagged: disney lion king hd. 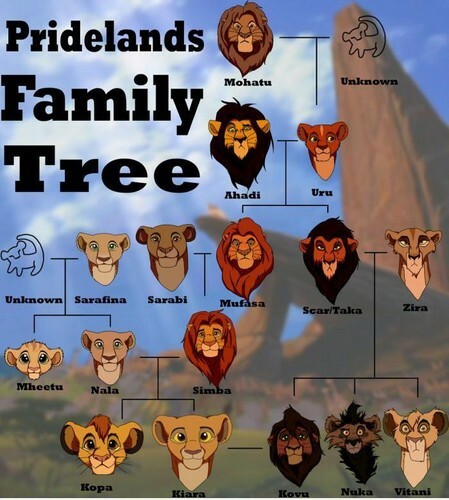 Realy Nice Tree but ... Scar isn't Kovus Father. Mohatu, Ahadi, Uru, Kopa and Mheetu are only from the non Disney books. and LIL-Humphrey is right about Scar and Kovu. Scar was never Kovu's father. Yeah Scar was not Kovu's father even Nuka said that he wasn't "I should of been the chosen one, and scar wasn't even his father"
Mheetu is the character of King of the Jungle and was not involved in any books. In a series of books Nala had a brother named Meetoo, but it is not Mheetu.